I sometimes need to remind myself that, when I have some time to play a game, I don’t necessarily have to play a game that is not yet in MobyGames. I have an impressive backlog of games that are already in the database but just require screenshots. So in the interest of screenshot recon, I played 3 completely unrelated titles whose records just needed a few screenshots for posterity. The first is G-Nome. 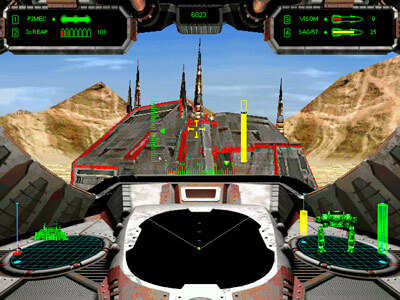 It made me realize that the only thing that could possibly frighten me more than a real-time strategy game, complexity-wise, is a mech simulation. Perhaps Steel Battalion was onto something when they opted to package a gargantuan custom controller with their game. My only guide to the controls was the configuration screen, which went on for pages. I got just enough of an idea, launched into a training mission, and then backed out to study up on more controls. 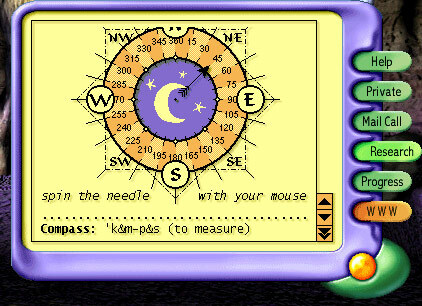 Unfortunately, I am ill-equipped to play G-Nome as it appears that the game requires most of the keys of an extended keyboard, including the keypad. I have an abbreviated, laptop-style keyboard for my desktop (hey, my cat needs the extra space on my desk for sleeping). So I did not collect too many screenshots for G-Nome. I was able to figure out how to make my mech walk, turn, and shoot. I found the base, or something, shown below since my radar seemed to think it was a target. All the shooting in the world didn’t elicit a reaction. 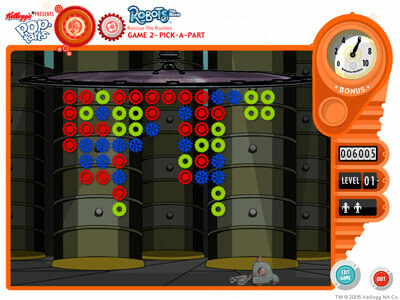 A game like this features braindead simple controls on which it tutors you every step of the way. When it came time to go outside with my horse, it was not at all obvious how to mount the horse. So I can only conclude that doing so is impossible in this game. Indeed, the entire game appears to revolve around caring for your horse and prepping it, and yourself, for the equestrian beauty pageant. The things I put up with for this gaming project. After all that, I thought maybe I deserved an enjoyable, action-oriented gaming experience with another recent acquisition called Dead Reckoning. You would think I’d learn by now that all the good games are already in MobyGames along with lots of illustrative screenshots. I pegged this as a Descent clone and I was right, though this game is grievously unfit to carry on the legacy of that series. 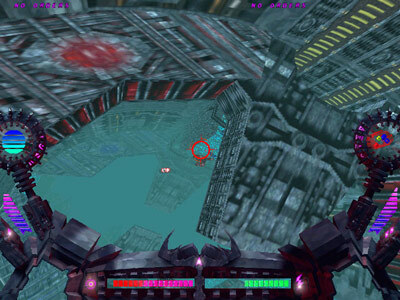 The object of each level appears to be to play a 3-on-3 death match against a squad of blue fighter craft. You are the leader of your red team and can give orders to your wingmen. I won a few rounds through no fault of my own. The graphics are busy yet uninspired and the play control is awkward. Maybe I’m being too hard on it and should do better to consider the period. However, the period excuse won’t work for the awful music. 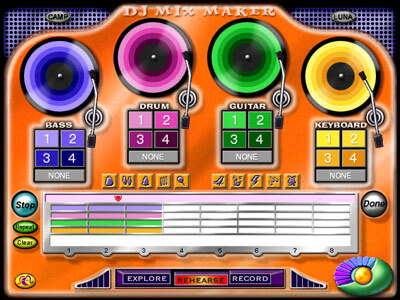 Have you ever opened a creative program, like a music editor or painting program, and starting toying around? Would you ever submit that first round of experimentation as a finished, commercial product? I ask because the music reminds me of someone’s first session with a computer music program, toying with every effect and stereo position without regard to sanity. 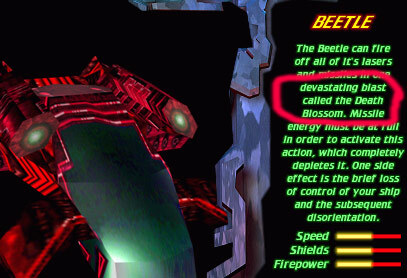 I guess I assumed that the people who made The Last Starfighter would have some kind of trademark or other intellectual property protection on the term “Death Blossom”. To be fair, it’s not actually a strict sliding puzzle game. 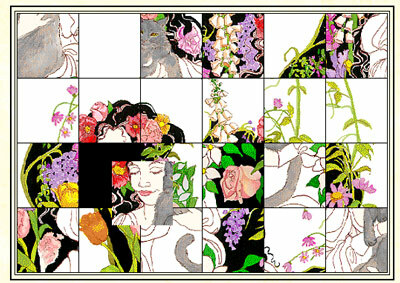 Perhaps that’s what it was originally intended to be, but in this variation, the player can freely move tiles anywhere on the board. So that kind of takes away the challenge and makes the whole thing rather pointless. I’m not dignifying this title with a MobyGames entry. There just isn’t enough meat there. So next up is Crazy Burger, a dreaded eGames title. Can I expect spyware? Fortunately, the game comes from after their great (government-induced) reformation. However, Spybot Search & Destroy caught a system registry access during the game’s installation. After installing the game, I am left a little confused about whether I can actually play the game, whether it actually needs to download itself from a website, whether it’s going to try to charge me for the privilege. 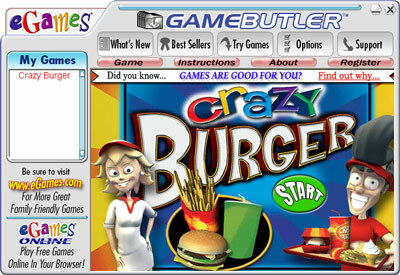 But no, I eventually discern from the busy panel that I can click on “Crazy Burger” from the list box control on the left. 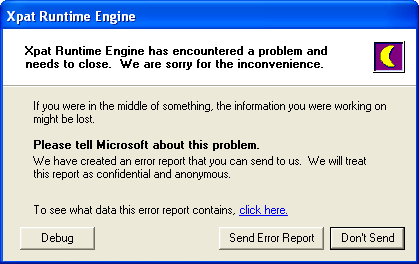 I was half-expecting some kind of 3D Burgertime-type game written in Visual Basic. By the time I got this far in the process, I was annoyed enough that I wanted to forgo the game’s entry into the database just to spite the game. The game is not a Burgertime clone, however, which is too bad– I liked Burgertime. There are obstacles, too, notably banana peels. Don’t step on one or you will be out of commission for precious seconds. It may sound like a simple trap to avoid. 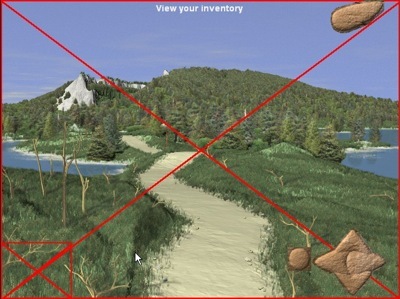 Unfortunately, the game likes to plop them where you can’t possibly see them. There’s also an ever-present sleeping dog in the kitchen. I’m almost certain that’s a health code violation, but whatever. This game was obviously made by a European outfit, as evidenced by the Euro-style prices on the wall (‘1,-‘ and ‘0,80’). Health codes are a bit different over there, if my travel memories serve me. I thought to research the aforementioned European outfit, German developer Zone 2 Media. They have another food-oriented title called Dönermafia. I think it is based on Döner kebap, one of my favorite foods while I visit Germany (and it’s not even a traditional German item). 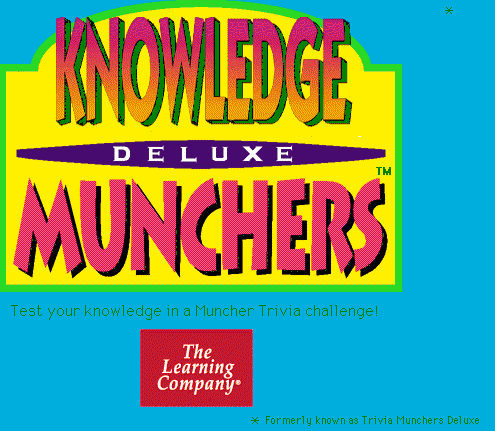 So out of the 3 games that could have been on this disc, I fortuitously came to own the disc with the one game that presently has no entry in MobyGames — Knowledge Munchers Deluxe, which the title screen explicitly notes used to be known as Trivia Munchers Deluxe. So I guess when I get around to adding this game, I will have to list it as that latter title with the former title as an alias. And I will have to add this cover art set as a 1999 Campbell’s Soup re-release. I am glad that my curiosity is finally satisfied pertaining to the ultimate payoff when saving Campbell’s Soup labels for education, something that many of us did as children (oh, please don’t tell me I was alone in this). It occurred to me to search for ‘muncher’ titles. Turns out that there is a whole series revolving around a protagonist named Muncher. Muncher is literally hungry for knowledge. It is your job to guide him to the correct answers so that the little green glutton can gleefully gorge on them. And that’s really all there is to the game. Our hero has 2 weaknesses– wrong answers (apparently poison) and adversaries, collectively known as Troggles, such as the overgrown slug pictured. 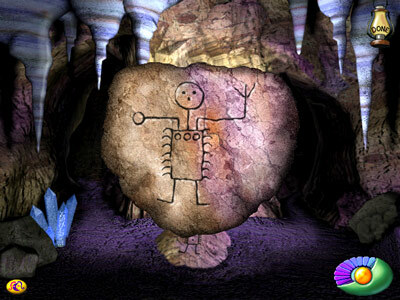 The creators were obviously quite pleased with the various Troggles as they meticulously named and animated each one. The trivia on offer is incredibly configurable and features levels 1-4 and ultimate. 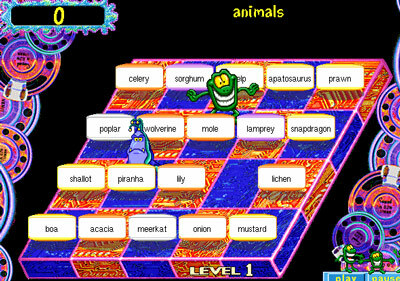 Within each category of trivia, the player can select sub-categories of trivia to be asked (or not). One more interesting detail: this game has an original copyright date of 1996. What month was it released? Maybe this computer chip, embedded in the game over screen, serves as an Easter egg for video game historians? In last night’s post, I alluded to breakfast cereal promotions. I decided to tackle that this evening. First up was a disc procured at a garage sale many years ago called 13 Days Of Halloween: Rhythm & Boos. It pertains to Count Chokula cereal. Imagine my disappointment to learn that it is not a game, but an audio CD. I had a similar experience once when investigating a Scooby-Doo disc only to learn it was a video DVD rather than a game. On the plus side, the Rhythm & Boos CD does have a nice 17-minute track of Halloween-type sounds. Ratchet must catch the falling junk in his box. Catching the Pop-Tarts logo makes the box wider. It feels like something from an Atari 2600 game and frankly gives a bad name to promotional tie-in games. There are malicious robots out to get you but you can slow their pursuit by secreting oil slicks. The second game is Pick-A-Part, a match-3 game! Yes! I’ll have you know that I am well on my way to becoming a grandmaster at this type of game thanks to my continuing practice at Magic Match. 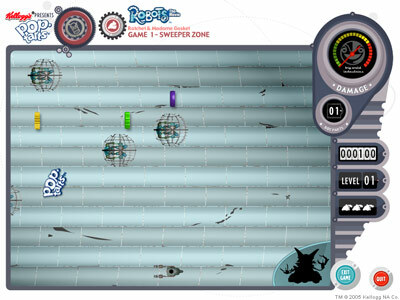 The goal of this game is to keep the gears away from he roving robot at the bottom of the screen. 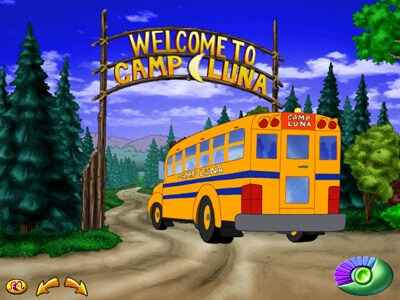 Even with my considerable skill, I couldn’t complete the second level at this game. Back to Magic Match, I suppose. 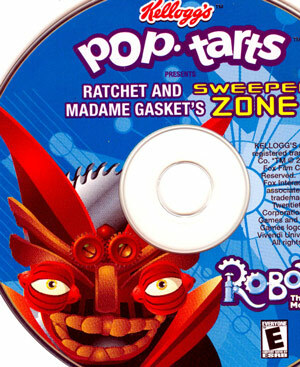 It should be noted that Pop-Tarts logos were absent from this last game. 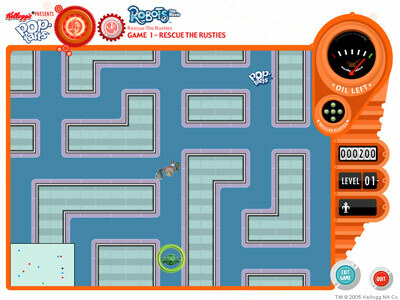 The other game in the series is Rodney Copperbottom And The Robot City Heroes. And I think you know that I am willing to expend considerable effort (well, I’ll frequent thrift shops and eBay anyway) in order to obtain it, along with the other prized Gap Kids game.